Kiyomi Lim's Site. : Post-it Singapore Video Contest ! Post-it Singapore Video Contest ! 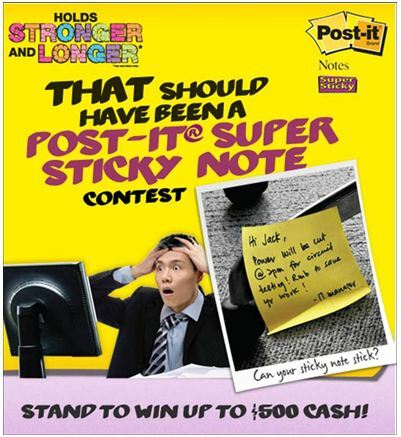 There is a contest going on for Post-it note ! Facebook contest runs now till 14 April 2011! Terms and Conditions apply. Join in the fun now !